The unaudited month ending results for the CCHOA for April 2018 and the 10th month of the 2017/2018 year are enclosed for your review. The combined Reserve account balance is $4,583,498.93. The Reserve balance is less than the balance for April 2017 which was $8,774,450.94, for April 2016 it was $$8,182,179.28, for April 2015 it was $7,093,030.50, for April 2014 it was $6,417,065.20. As mentioned in each of the most recent reports, significant maintenance projects were undertaken in Antigua and Montego which caused the Reserve balance to decline in each of the most recent months. These two projects are nearly completed and after July 1, 2018 the Reserve balance should start increasing as the funds loaned to the two Villages begin to be repaid. 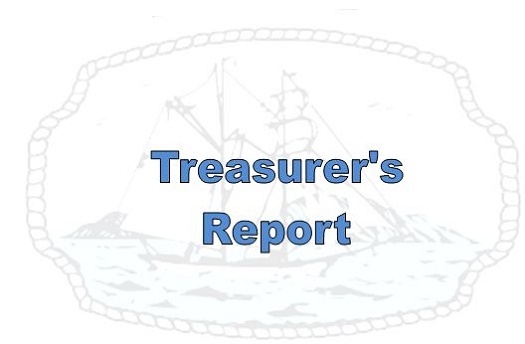 In addition, the Reserves for each of the two Villages should also begin to increase as the Reserves are replaced with each months’ regular annual dues payments(pending any amounts that were not in the special assessment). In addition, all Villages are slated to have at least 50% of required funding in place by the years 2023/2024. Reserves are terribly important for the CCHOA as the funds enable the CCHOA Board and Management to utilize the funds as maintenance needs are realized so that DEFERRED maintenance will NOT be one of the considerations unless there are no alternatives. Currently Green Turtle Cay, Antigua Village, Trinidad Village, Blue Anchor Cay, Port Royale Village, and Mardi Gras Village had higher expenses than that which was budgeted. Although each Village had differing explanations for the increased expenses over the budgeted amount, in many cases Water is one of the main reasons for the increase. It is anticipated that the increases where noted, have been anticipated and applied to the 2018/2019 budget. The abbreviated explanation for the variance is listed for each Village. Green Turtle Cay, Antigua Village, Trinidad Village, Blue Anchor Cay, Port Royale Village, and Mardi Gras had less income for this month than that which was budgeted. Each month the variances between the budgeted amounts for the 10 Villages, plus the Administration are listed in the more comprehensive detailed accounts which are listed on the CCHOA web page usually following submittal to the CCHOA Board. Homeowner’s are always welcome to stop by the CCHOA office for a printed copy of these reports. As mentioned in last months’ report, the CCHOA will resume CD purchases following July 1, as the Reserve loans begin to be repaid. The Finance Committee will meet June 26, to again revisit the investment duration in light of what appears to be an increasing interest rate economy. At the last meeting a decision was made to not invest for periods longer that 12 months even though 25% of the funds can be invested for up to 4 years. It must be noted that the CCHOA Board requires that all funds invested must be secure and safe. The CCHOA Board reviews and approves the guiding investment decisions with input from management and your Finance Committee. Both Antigua and Montego have approved special assessments to repay the borrowed funds from the CCHOA. The amounts borrowed by Montego are $1,742,000 and Antigua are $1,491,480.